The cumulative container throughput has increased by 14.5% from January to November 2018 when compared to the same period last year and transhipment has recorded the highest growth of 19.3%. All terminals have performed exceptionally well and have contributed to this achievement. JCT reached a 15% growth against 2017, handling 2.3 million TEUs by end 2018.JCT has also recorded an increase of 23.3% in transshipment volumes. 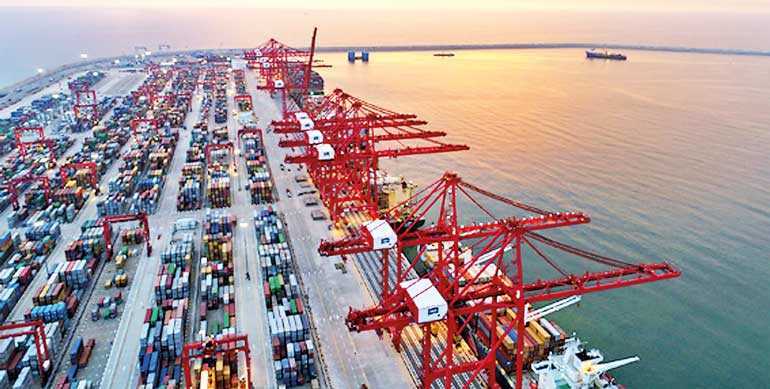 South Asia Gateway Terminal (SAGT) achieved 2 million TEUs in a calendar-year for the first time in history and Colombo International Container Terminal (CICT) has recorded 2.654 million TEUs in 2018. Port of Colombo is therefore a great case study of how Public – Private partnerships can contribute to the growth of an industry and the country at large. The Port of Colombo has been ranked as the world’s fastest growing port from among the top 30 container ports for the first half of 2018 according to Alphaliner. In container handling, the Port of Colombo recorded a 15.6% growth for the first half of 2018 and this is the first time in history the Port of Colombo reached this rank. With this growth, the Port of Colombo has leaped ahead of many other Asian ports, major European ports and Dubai. In a recent Drewry Port Connectivity Index Colombo was ranked 13th best connectivity port in the world and the best connectivity port in South Asia. The Drewry Global Container Port Connectivity Index that signifies the importance of port connectivity as important as size or scale consists of two variables—the number of mainline services calling at each port per week and the regions in the world to which each port is directly linked. CASA would like to congratulate the Ministry of Ports and Shipping and Sri Lanka Ports Authority for this achievement and would also like to thank South Asia Gateway Terminals (SAGT), Colombo International Container Terminals (CICT) and Hambantota International Port Group (HIPG) for the significant contribution they have made to achieve these impressive ranks. The MOU signed between the terminal operators, initiatives to improve efficiency, regular meetings with industry stakeholders and giving operational solutions in a timely manner are few initiatives taken by the government which significantly contributed to these commendable results. CASA would also like to recognise the contributions made by the Shipping Lines as well as their members who played an important role in facilitating this growth. Members of CASA are involved in vessel agency, husbanding services and act as manning/crewing agents for leading ship owners and managers. They also engage in maritime education & training and provide various other services to ship owners/managers in the ports of Sri Lanka and at off port locations. CASA as the voice of the shipping industry will continue its efforts to work closely with the government to develop the maritime industry and addressing concerns of all stakeholders. 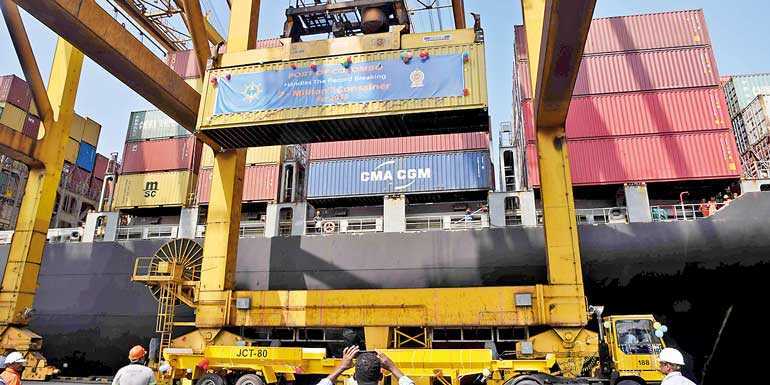 CASA had been highlighting the need of adding capacity at a brisk pace in order to retain Sri Lanka’s position as the best connectivity port in South Asia. If this growth momentum continues we can assume that all the Terminals in Colombo will reach full capacity and therefore adding capacity at a brisk pace is the most important factor for Sri Lanka to retain its position as the best connectivity port in South Asia. Immediate measures should therefore be taken to operationalise the East Container Terminal (ECT) which is designed as a deep water terminal. CASA, appeals that these initiatives are implemented immediately before we lose the competitive advantage of being the strongest transshipment hub in the region. To attract services which are currently not calling Colombo and to retain the share in a growing regional transshipment market, we must have more capacity. If not, shipping lines and exporters would look for alternative ports to direct their transshipment volumes.